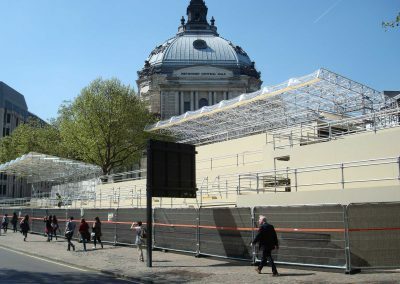 The billions of worldwide viewers of the Royal Wedding in London in 2011 may not have realised that Media Structures Limited, who were appointed to provide television viewing, studio and support facilities for the world’s media at key locations along the route, made extensive use of Layher equipment. 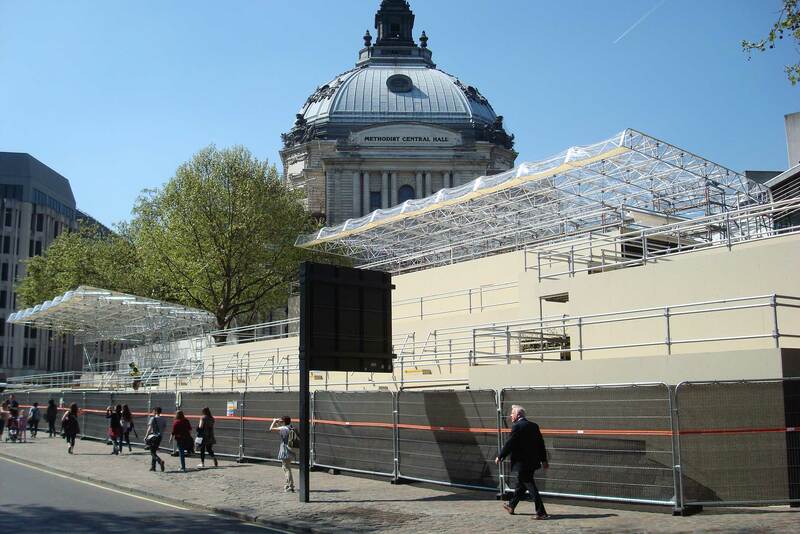 The combination of the Media Structures Limited design team and key benefits arising from the design of the Layher equipment came together to enable a highly intensive build programme to be successfully completed at a range of locations around the capital. 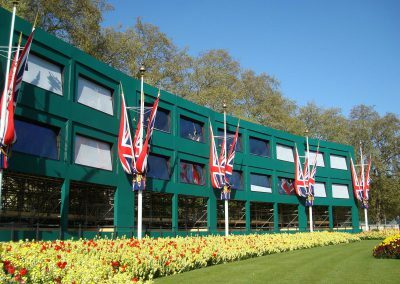 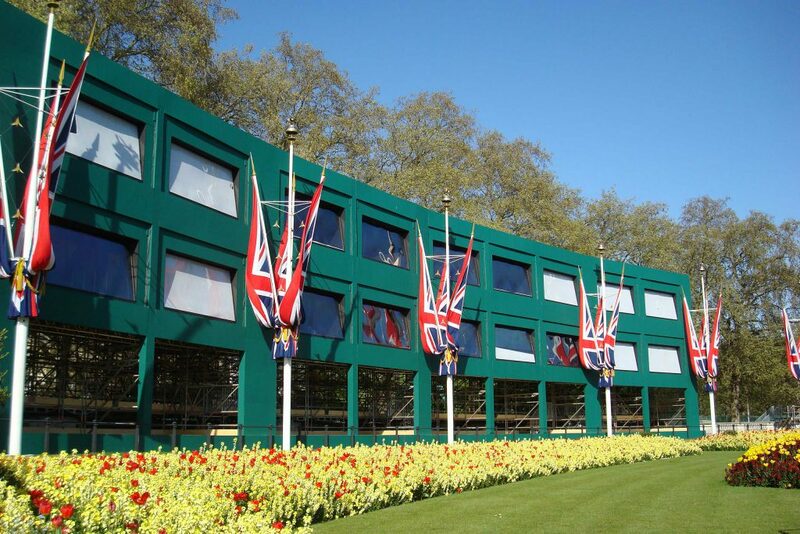 Centrepiece was a dedicated media village in Green Park opposite Buckingham Palace where a three-storey structure was built using 158 tonnes of Layher Allround® scaffolding to provide up to 200 broadcast camera viewing points within 22 individual studios. 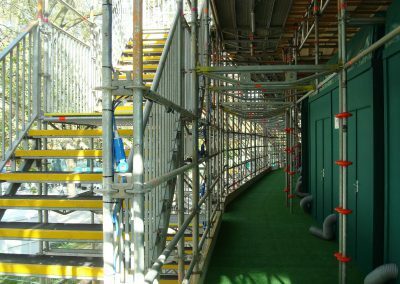 Along the route the scaffolding system was also used in up to 30 camera and commentary positions while at Westminster Abbey itself, Media Structures Limited used Layher equipment to provide the multi-tiered media stand opposite the main entrance – to include transparent Keder sheeting in case of inclement weather. 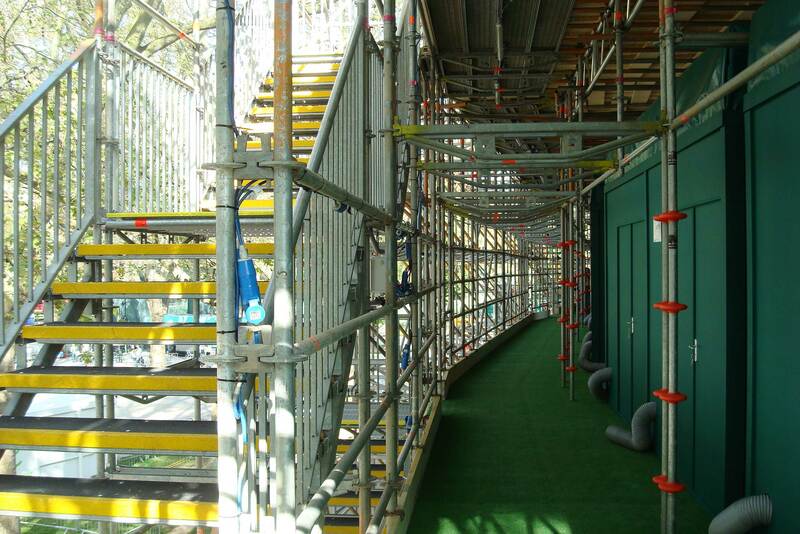 Additional camera positions on adjacent rooftops and within the Abbey itself were also constructed.